We are proud to announce that partners Howard L. Gum, David R. Hillier, and Patrick S. McCroskey have been selected to the 2017 North Carolina Super Lawyers list, and that Janet Amburgey has made her premier debut on North Carolina Super Lawyers 2017 Rising Stars, both published annually in Super Lawyers Magazine. Howard Gum is a North Carolina Board Certified Legal Specialist in Family Law and a Fellow of the American Academy of Matrimonial Lawyers. Practicing family law since 1976, Howard has extensive experience representing divorcing spouses from all walks of life. He focuses his practice exclusively on matters involving issues of marriage and divorce with clients throughout western North Carolina. 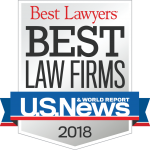 Howard has consistently been recognized through peer review at Best Lawyers in America and holds an AV Preeminent Rating from Martindale-Hubbell. Howard has been selected to Super Lawyers continuously since its inception in 2006. David Hillier is a North Carolina Board Certified Legal Specialist in Consumer Bankruptcy Law serving clients throughout Western North Carolina and a well-known mediator. Dave has consistently been recognized through peer review in the Legal Elite, Best Lawyers in America, and holds an AV Preeminent Rating from Martindale-Hubbell. Dave has been practicing law in Asheville for more than 30 years. He has been selected to Super Lawyers continuously since 2011. Patrick McCroskey is a North Carolina Board Legal Specialist in Family Law and Fellow in the American Academy of Matrimonial Lawyers. Patrick has consistently been recognized through peer review in the Legal Elite, Best Lawyers in America, and holds an AV Preeminent Rating from Martindale-Hubbell. Patrick has been practicing family law in Asheville for nearly 20 years. He has been selected to North Carolina Super Lawyers continuously since 2009. Janet Amburgey is a 2008 graduate of Appalachian School of Law. She is a Board Certified Specialist in Family Law and has been recognized by North Carolina Legal Elite in 2017 and Legal Elite Young Guns in 2016. She joined the Gum, Hillier & McCroskey firm in 2012 and focuses her practice exclusively in family law. 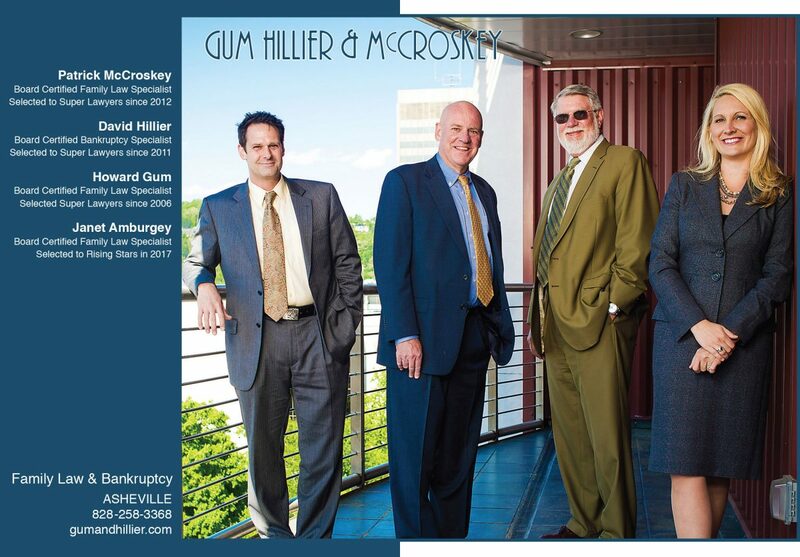 Gum, Hillier & McCroskey, P.A. is an Asheville-based family and bankruptcy law firm servicing clients in western North Carolina. The firm helps individuals and families create lasting resolutions to conflict and crisis. 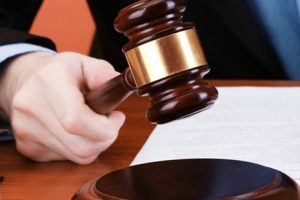 The lawyers in the firm are North Carolina Board Certified Legal Specialists in their respective fields of family and bankruptcy law, and the partners are mediators and arbitrators. Does My Separation Agreement Have To Be Approved by the Court?